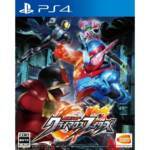 This December, Kamen Rider Climax Fighters will release around Asia for the Playstation 4 video game console. For those of you with a desire to play – an English subtitle release is available for pre-order via Play-Asia, and since the Playstation 4 is region free, it will work on your own system. Check out the full video preview below! Tamashii features 2016: S.H. Figuarts Takeshi Hongo & Kamen Rider Black Luminous Ver. A new pair of items has just gone on display at Tamashii Features 2016! Kind of an odd couple, neither of these figures currently has any confirmed release details at all, but they’re so cool we had to share them. First up is S.H. 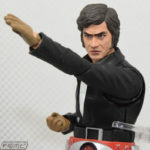 Figuarts Takeshi Hongo! Representing actor Hiroshi Fujioka as he appeared in 1971’s original Kamen Rider series, this figure would potentially be the first ever figuart released of a tokusatsu hero in their civilian form. Could this be a new trend further down the line? Next up is a unique possible re-release of an old favorite. S.H. Figuarts Kamen Rider Black Luminous Ver. A reuse of the incredibly popular Black Renewal figure but with the added feature of LED compound eyes! A Tamashii “Stage Act Wireless” set is also apparently included with this figure. Again neither of these reveals are confirmed for release but they were simply too incredible not to share. All image of Hongo & Black come courtesy of Dengeki Hobby Web. A new 4 minute trailer for the upcoming Kamen Rider Battle Ride War Genesis game was just released online, and in this new trailer the first episode stages are shown off along with a handful of new playable characters! In addition to showcasing Ghost and Drive in action. Battle Ride War Genesis will be released Febuary 25th 2016 for PS3, PS4(7000 yen each) and PS Vita (6100 yen) consoles. Like previous games, a TV Sound Edition will be avalaible for 10,200 yen. 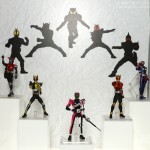 Continuing from our Winspector Figuarts coverage we have a TON of new S.H. 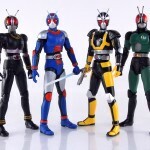 Figuarts Kamen Rider Reveals from the currently ongoing Tamashii Nations Summer Collection! From Drive to Shinkochu Seiho this show seems to have it all! Classic Tokusatsu Series Headed to Netflix Brazil! In an odd bit of news it appears that a selection of classic Japanese tokusatsu will be headed to Netflix! In Brazil. According to Jbox[/URL] the following shows will made available with at least subs and possible portugese dubs on Brazillian Netflix courtesy of the Sato Company! Japanese-Brazilian entrepreneur Nelson Sato, who imported such things as the Cybercop franchise to Brazil in the 1990’s, orchestrated this deal with Toei after his company released the above series on DVD previously (aside from Kamen Rider Black). An exact date for when these shows will be added to instant streaming on Netflix Brazil hasn’t been announced yet but another press release is incoming from Sato Company regarding these series and several others! A new magazine scan of the upcoming crossover film Super Hero Taisen GP: Kamen Rider 3 has been posted online! 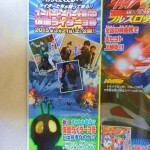 This gives us our first official look at some of the returning Kamen Riders for this special team-up! *As previously reported, Tetsuo Kurata will return as Kamen Rider Black. *Hochu Otsuka will once again voice the Imagin Deneb. *Kosei Amano returns as Kamen Rider Garren. Super Hero Taisen GP will be released on March 25 2015! 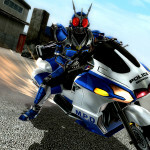 Stay tuned to TokuNation until then as we keep you up to date on all movie details! 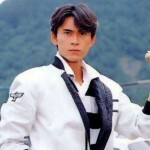 Fan-favorite actor Tetsuo Kurata who portrayed Kamen Rider Black and Black RX will be returning to the world of tokusatsu in a new film production- AND the film in question will feature a new Black RX form! While Toei’s latest cinematic project has not yet been officially confirmed, Kurata’s blog mentions a release in the Spring of 2015. Stay tuned to TokuNation as we keep you up to date on any movie news! TokuNation is ready to kick off another round of new galleries, and this time with a one-two punch of classic Showa Rider action! This week we spotlight Kamen Rider Black RX’s two alternate forms; Bio Rider & Robo Rider! Bio Rider, known as the Prince of Anger, was RX’s second form. Born in a life threatening situation RX achieved this form to rescue his ally Joe The Haze. And S.H. Figuarts Bio Rider is definitely one finely detailed figure, one of the best detailed figuarts for some time, featuring some of Bandais recent trend of real detailing. Right down to “folds” in the costumes fabric which are faithfully recreated. Bio Rider comes complete with an astonishing 5 full sets of extra hands and his trademark Bio Blade weapon. Robo Rider, known as the Prince of Sorrow, was RX’s first surprising alternate form. In response to the supposed death of the young girl Hitomi, Robo Rider debuted in battle against Death Garon. S.H. Figuarts Robo Rider is sadly not one of the best figuarts released recently and includes only a few extra hands along with his Vortech Shooter. However this figure along with Bio Rider completes a display of Kamen Rider Black/RX for figuarts collectors. Though it isn’t as nice as Bio Rider, there’s enough there to love. Click “Discuss on the TokuNation Forums” at the bottom of this post to be taken to a full gallery of both of these recent releases as well as in depth review of both.